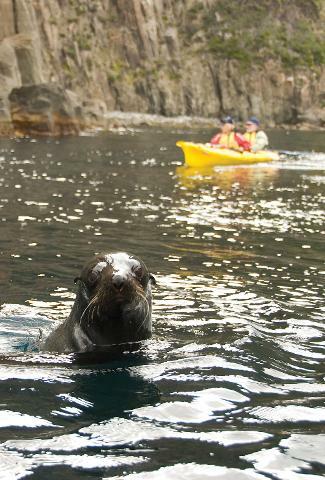 Get up-close and personal with the southern hemisphere’s highest sea cliffs and resident Australian fur seals. 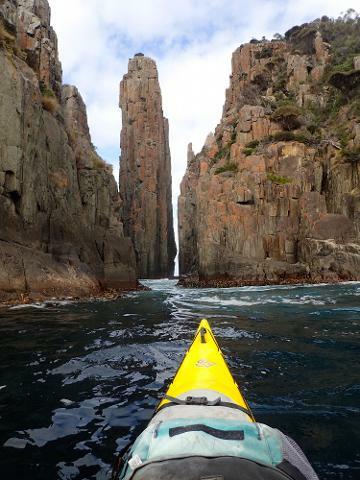 At sea level you’ll truly appreciate the scale of Australia’s highest sea cliffs, gazing up at 200-metre-high fluted rock formations, peering into natural sea caves, photographing the towering Candlestick, and searching for the abundant marine wildlife that lives along this coast. PHYSICAL REQUIREMENTS: While kayaking experience is not necessary this tour can be physically demanding and you do need to be able to paddle consistently for up to five hours (you do get a break for lunch though!). If you are unsure if this paddle is suitable for you, please contact us or check out our Hobart's Cliffs, Caves and Beaches full-day paddle. Not recommended for children under 16. WEATHER: We believe Fortescue Bay offers one of the best day paddling locations in Australia, but it is exposed to swell and strong winds in adverse weather conditions. If the weather is not suitable on the day you book we will call you the day prior and offer you the choice of another day, a different paddle in more protected waters or a full refund. 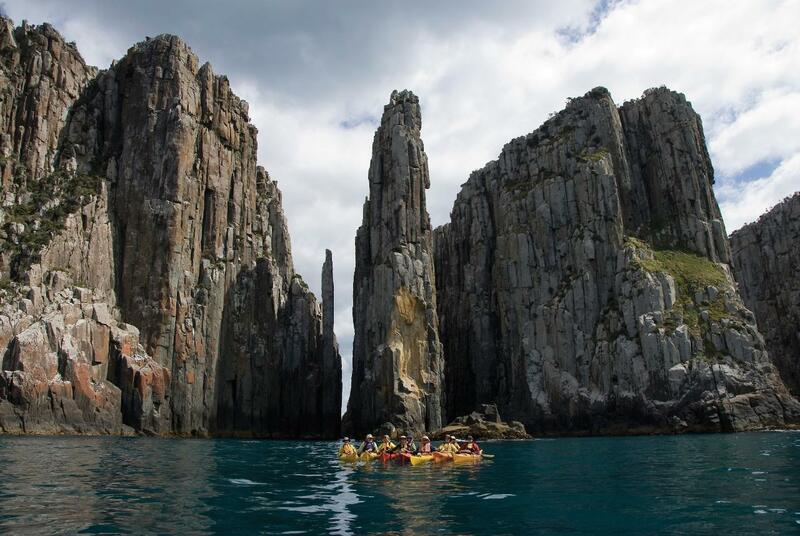 Includes: Return transport from Hobart, National Park entry fees, lunch, refreshments, our passionate and experienced local guides, stable double sea kayaks, all kayaking equipment, warm all-weather protection gear. Bring: Hat,sunglasses, comfortable quick-drying clothes suitable for the weather, shoes that can get wet (sandals, running shoes), bottle of water and change of clothes for the trip home.